These are exactly what they sound like. 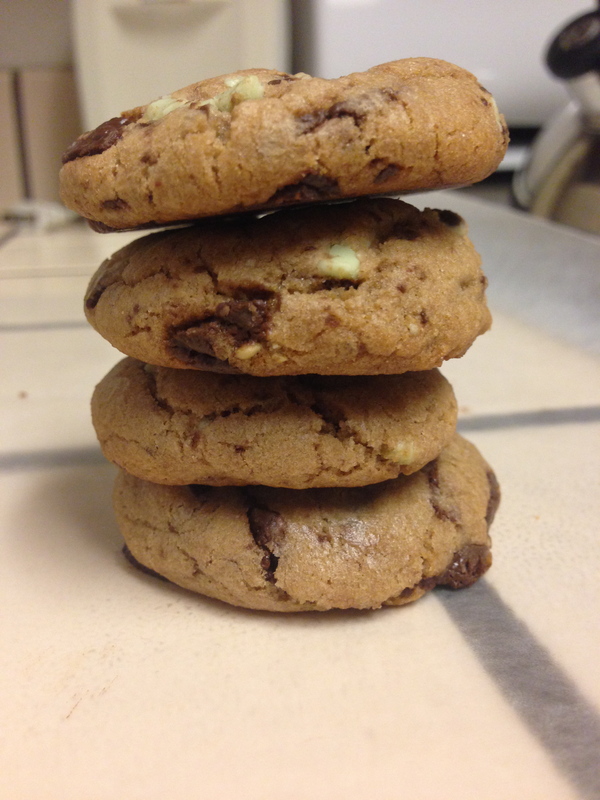 Soft cookies with chunks of Andes mint chocolates inside. YUM! These are definitely on the sweeter side and are quite minty. Casey requested MINT. I gave her mint! These cookies were easy and fun to make! In a separate bowl, whisk together the baking soda, baking powder, salt, flour, and unsweetened cocoa powder. Add 1/2 of the dry ingredients to the wet ingredients. Mix for about 1 minute on low speed. Add the remaining dry ingredients and mix on low speed until combined. By hand, fold in the Andes Mints. Drop rounded tablespoon-fuls onto ungreased baking sheet or silicone mat. Bake for 9-12 minutes until sides slightly begin to brown. 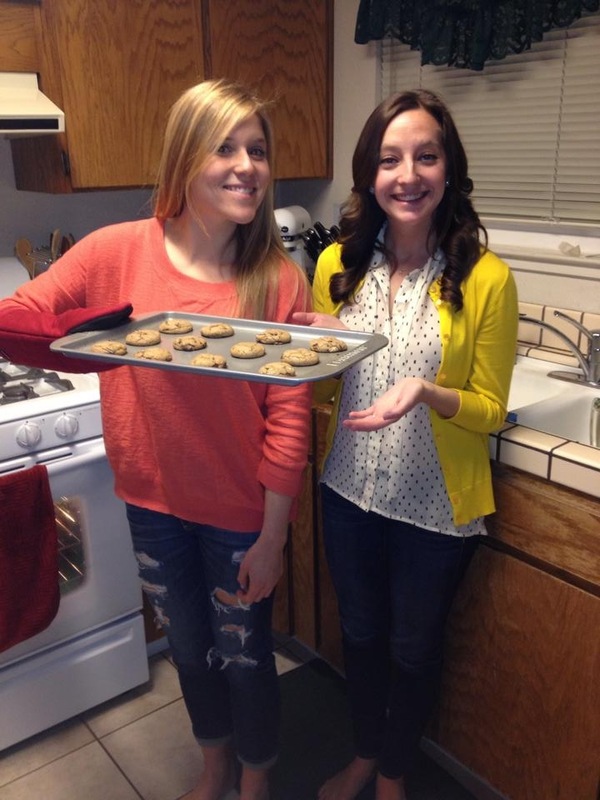 Depending on how big you make the cookies, the time will vary. 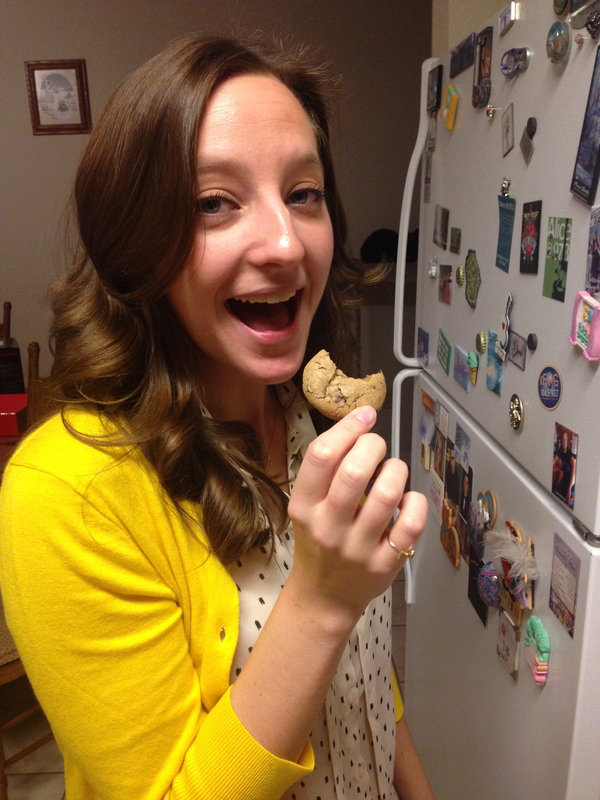 We made smaller cookies and they took exactly 9 minutes. 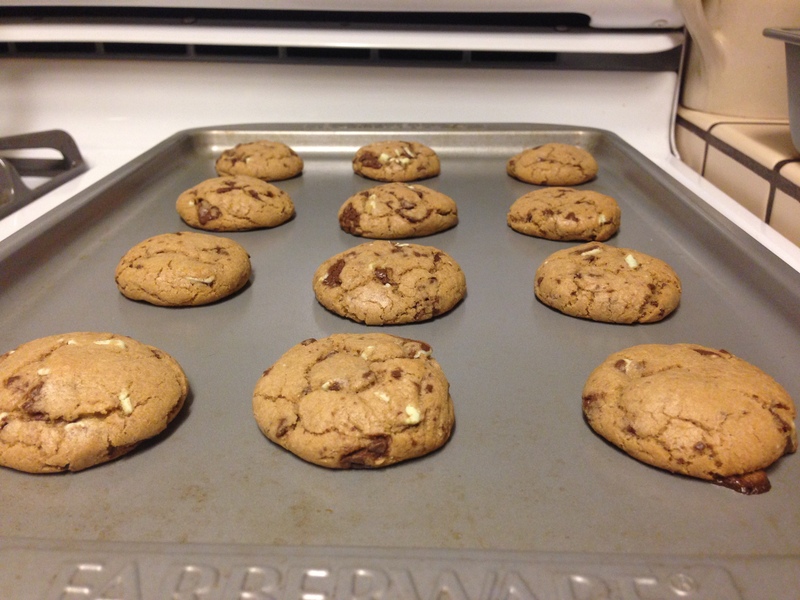 Allow cookies to cool on the baking sheet for 2-3 minutes and transfer to a wire rack. 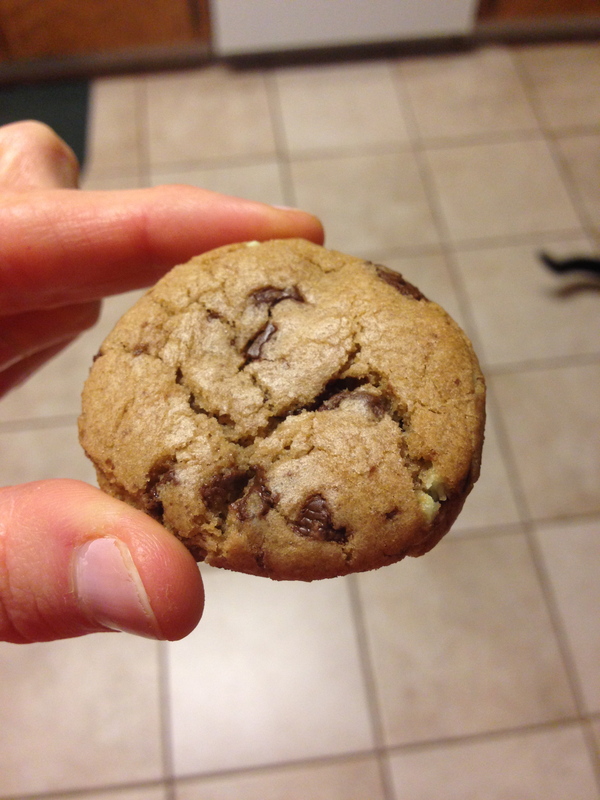 Cookies stay fresh & soft in a sealed container at room temperature for 1 week. You can also freeze the cookies for up to 2 months! And they are soooo good!! !